"White Christmas" is a favorite in both of my families. 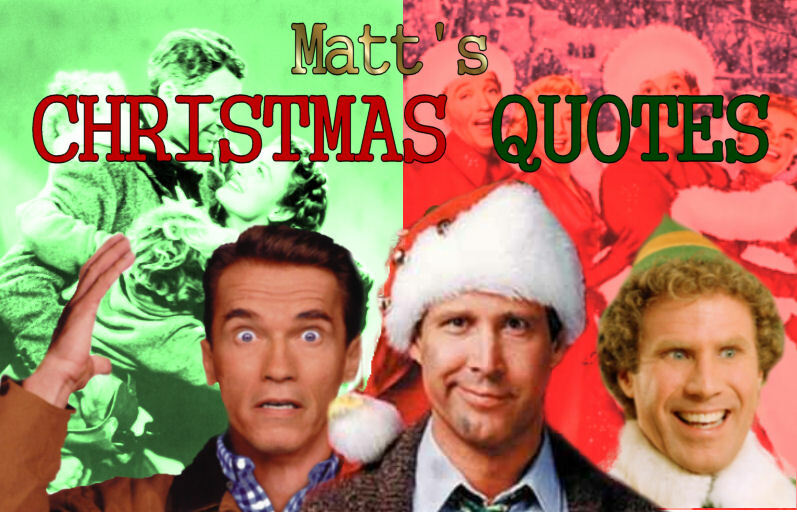 I don't lead a double life or anything like that...it's just that it literally isn't Christmas unless my father watches this movie around the holidays (and typically multiple times at that). The "other" side of the family would be my wife and in-laws...who are equally obsessed with the adventures of Bob Wallace and Phil Davis. However, it's my wife who takes the "White Christmas" cake. She has a ceremonial viewing of the movie on Thanksgiving Day that kicks off a non-stop "White Christmas" viewing party through the end of December. If you enter our home at any time during that span, you're likely to hear "The Best Things Happen While You're Dancing," "Love You Didn't Do Right by Me," "Mandy," "(We'll Follow) The Old Man," "Count Your Blessings," "Snow," "What Can You Do with a General?," "Sisters," or the titular "White Christmas." If I'm around and/or particularly cranky, you may find yourself skipping right through "Choreography." 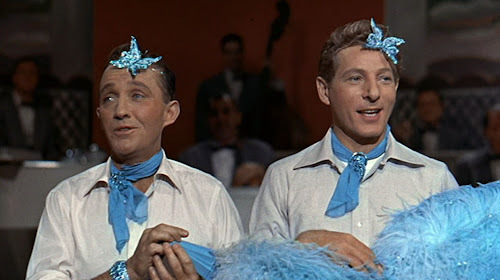 The 1954 gem features Bing Crosby and Danny Kaye as two old World War Two buddies who become successful producers and performers. 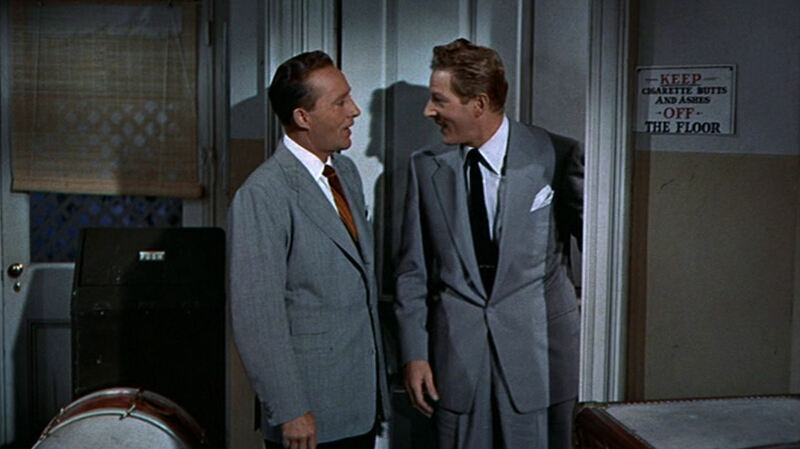 Crosby's Bob Wallace was already well-established, but after Danny Kaye's Phil Davis gets injured while saving Wallace's life in the war, the two become an inseparable pair...even though Wallace wryly muses about how much better life would be without the headaches that come along with having Phil Davis as a friend. The two end up at an inn in Vermont run by their old rundown commander, General Waverly. Problem is, there's no snow in Vermont, the general put his life savings into the business, and no one's gonna be flocking to Pine Tree to see "all that snow." Wallace and Davis have a honey of a brainstorm, deciding to bring their whole show to the general's inn to bolster business. They team up with the Haynes Sisters (Betty and Judy), who bring their own angles and romantic intrigue into the mix. Bob: "I've got a feeling I'm not gonna like it." Phil: "I've got a feeling you're gonna hate it." Bob: "Well, what am I doing it for?" TOGETHER: "We're doing it for a pal in the army." Bob was right: he wasn't gonna like this. On a completely unrelated note, I won $50 at the after prom talent show for lip-syncing to this very performance with an old high school buddy.